The Attorney General of California is the state attorney general of the Government of California. The officer's duty is to ensure that "the laws of the state are uniformly and adequately enforced" ( Constitution of California, Article V, Section 13.) The Attorney General carries out the responsibilities of the office through the California Department of Justice. The Department employs over 1,100 attorneys (meaning that the AG supervises the governmental equivalent of a law firm much larger than the vast majority of U.S. private law firms) and 3,700 non-attorney employees. 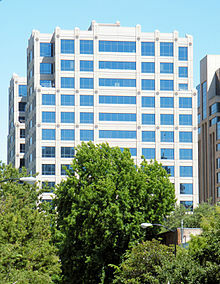 Although the office of Attorney General dates to the admission of California to the Union, the office in its modern form dates to Proposition 4 of 1934,  sponsored by Alameda County District Attorney Earl Warren as one of four initiatives he sponsored to substantially reform law enforcement and the judiciary. Previously, the attorney general lacked jurisdiction over matters in the jurisdiction of locally elected district attorneys and sheriffs. Warren went on to become Attorney General himself in 1938 where he reorganized state's law enforcement into districts.